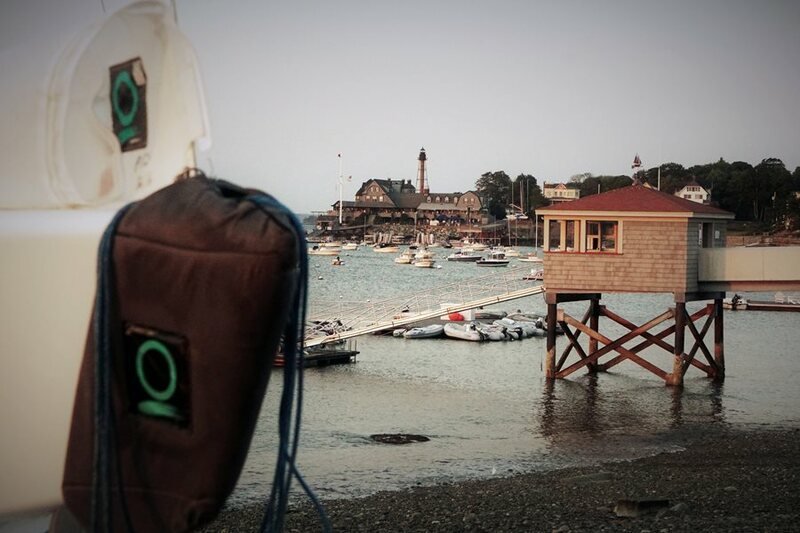 Quantum’s George Szabo has a sailing schedule that most can’t keep up with. In order for him to compete at back-to-back regattas around the globe (not to mention win them), he has had to master the art of chartering. Here are his pro-tips for getting up to speed with an unfamiliar boat. Ready to go - A chartered Star boat waits to be launched at the 2017 Star North American Championship in Marblehead, MA. Photo by Lara Dallman-Weiss. Nothing is quite as valuable as spending time on a specific boat, whether your own or your team’s. Time brings familiarity with the boat and its unique characteristics. But sometimes racing on your boat isn’t practical or possible. Can you create that same level of familiarity with a charter boat you have only just met? We sat down with George to learn how he develops a relationship with a charter boat, what gets his attention and what things does he leave alone. How many charter boats have you used in the past year? George Szabo: I’ve chartered four different Star boats and four different Snipes. But have chartered many different classes over the years. Do you bring your own rigging? What other essential items do you bring to events when chartering? GS: The tools I bring typically fit into a small toiletry bag: two multi-tools, a multi-screwdriver, a small crescent wrench, specific tuning tools for each class, a tension gauge, tape, tape measure, Sharpies, needle and thread, extra screws, yarn, a handsaw, and shackles. We do sometimes bring our Snipe shrouds and spreaders if we think the charter boat may not have the adjustable type we like. This of course isn’t possible with larger boats, but something to consider if you have a specific element you like (assuming you can easily remove and transport). The larger tools are all easy to check in a suitcase within the U.S., but outside of the States it may be easier to borrow them. I am diligent about returning whatever I borrow the moment I am finished to let friends know they can trust me with their tools. How do make sure the charter will be what you’re used to? GS: There are two options: you can either measure all equipment and rigging at home, record settings and try to duplicate everything, or you can take the charter equipment as is and try to get the best out of it. I prefer the latter, to spend my time getting familiar with how the boat is already set up. Do you have any examples of things that went well or didn’t go well with your charter at the recent 2017 Snipe Nationals or Star North Americans? GS: At the Star North Americans, we put the boat in the water and began to skull the 20 feet from the hoist to the dock. After 10 feet of sculling, the tiller was in my hands because the piece that connected the rudder post to the tiller had broken in half. I was able to replace the piece and was lucky that this had not happened while sailing! That specific occurrence was rare and may only happen every 10 years. At the Snipe Worlds, we found our mast step was off, so we prioritized moving it to the correct position before the regatta. At another regatta this year, my crew arrived a day earlier than I did and called me with a list of supplies I needed to purchase and bring along. The next day I had wire for a new jib halyard and several other essentials in my hands. Each charter boat is different, and it takes a significant amount of extra time to put them together. It comes down to being diligent and checking every single piece of rigging in a very short period of time. You mentioned working with the system the charter boat comes with and learning to get used to what already works for the boat. Is this something you’ve adopted over time because re-rigging is time-consuming? GS: It comes down to personal style. Some people enjoy rigging and prefer to have specific control line placement with the purchase they are used to. They will spend hours re-rigging a boat. I prefer to figure out where the current controls are and use them as they come. Often a boat will have a series of “add-ons” that, in my opinion, only provide windage, not functional racing benefit. We’ll often remove those and leave them in a box for the owner. What is the first thing you do when you meet the charter for the first time? GS: We first look for the essential parts: sheets, rigging, stay masters, shackles, etc. Because people put away their boats in so many different fashions, we often start with an “Easter egg hunt.” When I put a boat away, I like to leave the shrouds and stay masters as connected as possible. This simplifies rigging the boat and it also makes it easier to duplicate the same tuning as the last time you sailed. We have had two charter Stars where everything was completely disconnected; we even had to look through a pile for the correct length shrouds. If something is taped, un-tape it to find out if what has been hidden needs replacing. We search for the necessary safety items - I’m surprised how many boats don’t come with life jackets. We replace any worn lines or bungee cords and cut lines that are excessively long. Finally, we remove any unnecessary weight. Sometimes less is more, and the boat owner may have unknowingly left extra items on board. Do you prioritize getting the boat setup correct on land or spending more time on the water, or does it differ with each boat? GS: I estimate three to five hours minimum on land before we can get on the water to look at tuning. After searching through the boat, we retune. It can take a while to get the mast straight from side to side, so I factor in at least the first hour on the water, before any other boats are on the water, tacking from side to side to sight the rig. I also measure the rig every day, no matter which type of boat. This is especially important if the boat hasn’t been sailed in a while because shrouds and lines can take a few days to stretch back out. The process of tuning many different boats has taught me the tuning guide should be used as a guide and that the process of experimentation is healthy. If I charter a fast boat and I know the boat owner has had good results, I will leave the rig as it is to see if I discover something new. George Szabo is a Quantum sail Consultant out of San Diego. He is a World and National Champion in numberous classes and full of great tips and tricks from his distinguished sailing career. Contact George at gszabo@quantumsails.com.